SrIperumbUthUr – vaikAsi bharaNi, Friday (yesterday) – http://sriperumbuthur.blogspot.com/2016/06/june-2016-week-1.html . dhivya prabandham – thiruvAimozhi 2.8.9 – engum uLan kaNNan – http://divyaprabandham.koyil.org/index.php/2016/06/thiruvaimozhi-2-8-9-engumulan-kannan/ – English translation. Full series can be viewed at http://divyaprabandham.koyil.org/index.php/thiruvaimozhi/ . SrIperumbUthUr – vaikAsi aSwini (yesterday) – http://sriperumbuthur.blogspot.com/2016/06/june-2016-week-1.html . thiruvallikkENi – EkAdhaSi (day before yesterday) – http://thiruvallikkeni.koyil.org/?p=478 . dhivya prabandham – thiruvAimozhi 2.8.8 – kANbAr Ar – http://divyaprabandham.koyil.org/index.php/2016/06/thiruvaimozhi-2-8-8-kanbar-ar/ – English translation. Full series can be viewed at http://divyaprabandham.koyil.org/index.php/thiruvaimozhi/ . SrIperumbUthUr – vaikAsi rEvathi (yesterday) – http://sriperumbuthur.blogspot.com/2016/06/june-2016-week-1.html . dhivya prabandham – thiruvAimozhi 2.8.7 – kidandhirundhu – http://divyaprabandham.koyil.org/index.php/2016/06/thiruvaimozhi-2-8-7-kidhandhirundhu/ – English translation. Full series can be viewed at http://divyaprabandham.koyil.org/index.php/thiruvaimozhi/ . SrIperumbUthUr – vaikAsi uthratttAdhi (yesterday) – http://sriperumbuthur.blogspot.com/2016/05/may-2016-week-5.html . SrIvaishNava granthams – virOdhi parihArangaL part 12 – https://srivaishnavagranthamshindi.wordpress.com/2016/05/31/virodhi-pariharangal-12/ based on http://ponnadi.blogspot.in/2014/02/virodhi-pariharangal-12.html – hindi translation by kEshav swamy. Full series can be viewed at https://srivaishnavagranthamshindi.wordpress.com/virodhi-pariharangal/ . dhivya prabandham – thiruvAimozhi 2.8.6 – thIrththan – http://divyaprabandham.koyil.org/index.php/2016/05/thiruvaimozhi-2-8-6-thirththan/ – English translation. Full series can be viewed at http://divyaprabandham.koyil.org/index.php/thiruvaimozhi/ . This entry was posted in Uncategorized on May 31, 2016 by Sarathy Thothathri. SrIperumbUthUr – vaikAsi pUratttAdhi (yesterday) – http://sriperumbuthur.blogspot.com/2016/05/may-2016-week-5.html . thiruvAimozhi 2.8.5 – OvAth thuyar – http://divyaprabandham.koyil.org/index.php/2016/05/thiruvaimozhi-2-8-5-ovath-thuyar/ – English translation. Full series can be viewed at http://divyaprabandham.koyil.org/index.php/thiruvaimozhi/ . Commencement of Arththi prabandham English translation – http://divyaprabandham.koyil.org/index.php/2016/05/arththi-prabandham/ . Translation by santhAnam swamy. This is in commemoration of the 1000th year anniversary celebrations of emperumAnAr. SrIperumbUthUr – vaikAsi sathayam (yesterday) – http://sriperumbuthur.blogspot.com/2016/05/may-2016-week-5.html . guru paramaparai – mudhaliyANdAn – life and glories in thamizh – https://guruparamparaitamil.wordpress.com/2016/05/29/mudhaliyandan/ based on https://guruparamparai.wordpress.com/2013/03/29/mudhaliyandan/ – new article by SrIvaramangA ammangar and santhAnakrishNan swamy dhampathi . Please visit https://guruparamparaitamil.wordpress.com/2015/03/14/introduction-2/ to see the full list. SrIvaishNava granthams – Simple Guide to SrIvaishNavam – artha panchakam – https://srivaishnavagranthamshindi.wordpress.com/2016/05/30/simple-guide-to-srivaishnavam-artha-panchakam/ based on http://ponnadi.blogspot.in/2015/12/artha-panchakam.html – Hindi translation by bhagavathi ammangar. Full series can be viewed at https://srivaishnavagranthamshindi.wordpress.com/simple-guide-to-srivaishnavam/ . SrIperumbUthUr – vaikAsi avittam (yesterday) – http://sriperumbuthur.blogspot.com/2016/05/may-2016-week-4.html . thiruvallikkENi – varadhar uthsavam days 7, 9 and 10 (upto yesterday) – http://thiruvallikkeni.koyil.org/?p=478 . SrIvaishNava granthams – Simple Guide to SrIvaishNavam – References – https://srivaishnavagranthamstamil.wordpress.com/2016/05/29/simple-guide-to-srivaishnavam-references/ based on https://ponnadi.blogspot.in/2016/01/simple-guide-to-srivaishnavam-references.html – thamizh translation by sadagopan swamy. Full series can be viewed at https://srivaishnavagranthamstamil.wordpress.com/simple-guide-to-srivaishnavam/ . With this article, the series comes to an end. e-book will be prepared and shared soon. dhivya prabandham – thiruvAimozhi 2.8.4 – pulan aindhum – http://divyaprabandham.koyil.org/index.php/2016/05/thiruvaimozhi-2-8-4-pulan-aindhum/ – English translation. Full series can be viewed at http://divyaprabandham.koyil.org/index.php/thiruvaimozhi/ . This entry was posted in Uncategorized on May 29, 2016 by Sarathy Thothathri. SrIperumbUthUr – vaikAsi SravaNam, Friday (yesterday) – http://sriperumbuthur.blogspot.com/2016/05/may-2016-week-4.html . thiruvallikkENi – varadhar uthsavam days 5 and 6 (23rd and 24th) – http://thiruvallikkeni.koyil.org/?p=478 . dhivya prabandham – thiruvAimozhi 2.8.3 – puNarkkum ayanAm – http://divyaprabandham.koyil.org/index.php/2016/05/thiruvaimozhi-2-8-3-punarkkum-ayanam/ – English translation. Full series can be viewed at http://divyaprabandham.koyil.org/index.php/thiruvaimozhi/ . dhivya prabandham – thiruvAimozhi 2.8.2 – nIndhum thuyar – http://divyaprabandham.koyil.org/index.php/2016/05/thiruvaimozhi-2-8-2-nindhum-thuyar/ – English translation. Full series can be viewed at http://divyaprabandham.koyil.org/index.php/thiruvaimozhi/ . 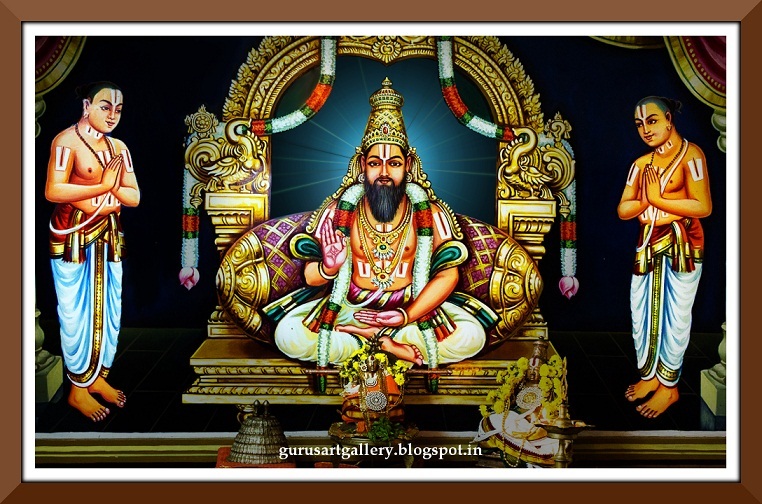 SrIvaishNava granthams – Simple Guide to SrIvaishNavam – Important points – https://srivaishnavagranthamstamil.wordpress.com/2016/05/26/simple-guide-to-srivaishnavam-important-points/ based on http://ponnadi.blogspot.in/2016/01/simple-guide-to-srivaishnavam-important-points.html – thamizh translation by sadagopan swamy. Full series can be viewed at https://srivaishnavagranthamstamil.wordpress.com/simple-guide-to-srivaishnavam/ . SrIvaishNava granthams – virOdhi parihArangaL part 11 – https://srivaishnavagranthamshindi.wordpress.com/2016/05/25/virodhi-pariharangal-11/ based on http://ponnadi.blogspot.in/2014/02/virodhi-pariharangal-11.html – hindi translation by kEshav swamy. Full series can be viewed at https://srivaishnavagranthamshindi.wordpress.com/virodhi-pariharangal/ . pUvirunthavalli – varadhar uthsavam day 4 and 5 (yesterday) – http://puvirunthavalli.koyil.org/?p=499 . thiruvallikkENi – varadhar uthsavam day 4 (day before yesterday) – http://thiruvallikkeni.koyil.org/?p=478 . thiruvAimozhi 2.8 – Audio available at http://divyaprabandham.koyil.org/index.php/2016/05/thiruvaimozhi-2-8-audio/ . thiruvAimozhi 2.8.1 – aNaivadhu aravaNaimEl – http://divyaprabandham.koyil.org/index.php/2016/05/thiruvaimozhi-2-8-1-anaivadhu-aravanaimel/ – English translation. Full series can be viewed at http://divyaprabandham.koyil.org/index.php/thiruvaimozhi/ . AzhwArthirunagari – bhattar thirunakshathram celebrations at AzhwAn sannidhi (morning), nammAzhwAr thirunakshathra mahOthsavam gandhappodi uthsavam at mAmunigaL sannidhi (Evening) (yesterday) – http://azhwarthirunagari.koyil.org/?p=1002 . AzhwArthirunagari – nammAzhwAr thiruanakshathra mahOthsavam – day 10 (yesterday) – http://azhwarthirunagari.koyil.org/?p=1002 . SrIvaishNava granthams – Simple Guide to SrIvaishNavam – thathva thrayam – https://srivaishnavagranthamshindi.wordpress.com/2016/05/22/simple-guide-to-srivaishnavam-thathva-thrayam-in-short/ based on https://ponnadi.blogspot.in/2015/12/thathva-thrayam-in-short.html – Hindi translation by bhagavathi ammangar. Full series can be viewed at https://srivaishnavagranthamshindi.wordpress.com/simple-guide-to-srivaishnavam/ . This entry was posted in Uncategorized on May 22, 2016 by Sarathy Thothathri. AzhwArthirunagari – nammAzhwAr thiruanakshathra mahOthsavam – day 9 (yesterday) – http://azhwarthirunagari.koyil.org/?p=1002 . AzhwArthirunagari – nammAzhwAr thiruanakshathra mahOthsavam – day 8 (yesterday) – http://azhwarthirunagari.koyil.org/?p=1002 . dhivya prabandham – upadhESa raththina mAlai – English e-book link available at http://divyaprabandham.koyil.org/index.php/2015/11/upadhesa-raththina-malai/ and http://divyaprabandham.koyil.org/index.php/e-books/ . Thanks to parAsara (pradeep) swamy for preparing the e-book. AzhwArthirunagari – nammAzhwAr thiruanakshathra mahOthsavam – day 7 (yesterday) – http://azhwarthirunagari.koyil.org/?p=1002 . SrI rAmAnuja dharsanam – e-magazine – May/chithrai – thamizh Issue recently released and can be viewed at http://www.varavaramuni.com/home/sriramanuja-dharsanam-magazine/thamizh . thiruvAimozhi 2.6 – English e-book link available at http://divyaprabandham.koyil.org/index.php/2015/11/thiruvaimozhi-2nd-centum/ and http://divyaprabandham.koyil.org/index.php/e-books/ . Thanks to parAsara (pradeep) swamy for preparing the e-book. 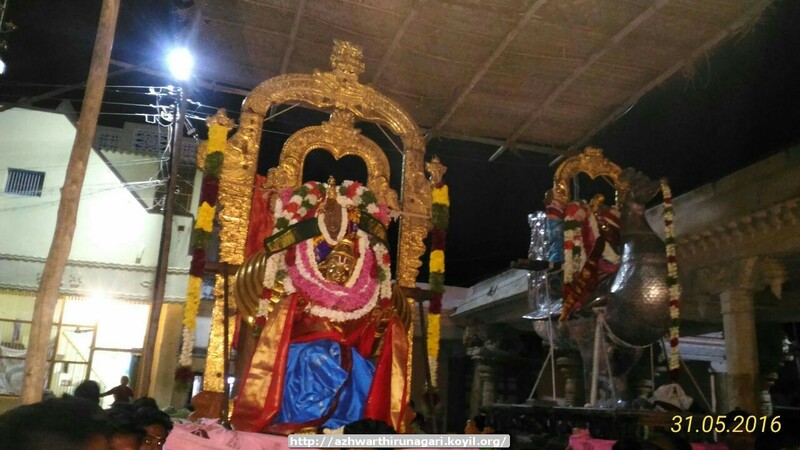 AzhwArthirunagari – nammAzhwAr thiruanakshathra mahOthsavam – day 6 (yesterday) – http://azhwarthirunagari.koyil.org/?p=1002 . AzhwArthirunagari – nammAzhwAr thiruanakshathra mahOthsavam – day 5 (yesterday) – http://azhwarthirunagari.koyil.org/?p=1002 . dhivya prabandham – ashta SlOkI – hindi translation – http://divyaprabandham.koyil.org/index.php/2016/05/ashta-sloki-hindi/ based on http://divyaprabandham.koyil.org/index.php/2016/01/ashta-sloki/ – new article series by prIti ammangar, published by bhagavathi ammangar. AzhwArthirunagari – nammAzhwAr thiruanakshathra mahOthsavam – day 4 (yesterday) – http://azhwarthirunagari.koyil.org/?p=1002 . AzhwArthirunagari – nammAzhwAr thiruanakshathra mahOthsavam – day 3 (yesterday) – http://azhwarthirunagari.koyil.org/?p=1002 . SrIperumbUthUr – theppOthsavam day 3 (yesterday) – http://sriperumbuthur.blogspot.com/2016/05/may-2016-week-2.html . dhivya prabandham – Commencement of thiruvAimozhi 2.8 decad – aNaivadhu – http://divyaprabandham.koyil.org/index.php/2016/05/thiruvaimozhi-2-8-anaivadhu/ – English translation. Full series can be viewed at http://divyaprabandham.koyil.org/index.php/thiruvaimozhi/ . This entry was posted in Uncategorized on May 15, 2016 by Sarathy Thothathri. AzhwArthirunagari – nammAzhwAr thiruanakshathra mahOthsavam – day 2 (yesterday) – http://azhwarthirunagari.koyil.org/?p=1002 . SrIperumbUthUr – theppOthsavam day 2 (yesterday) – http://sriperumbuthur.blogspot.com/2016/05/may-2016-week-2.html . SrI rAmAnuja dharsanam – e-magazine – February/makara – hindi Issue recently released and can be viewed at http://www.varavaramuni.com/home/sriramanuja-dharsanam-magazine/hindi . bhagavath gIthA – SlOkams 41 to 47 added in http://githa.koyil.org/index.php/chapter-1/ based on http://githa.koyil.org/index.php/chapter-1-original/ . With this first chapter is complete. AzhwArthirunagari – nammAzhwAr thiruanakshathra mahOthsavam – day 1 (yesterday) – http://azhwarthirunagari.koyil.org/?p=1002 . SrIperumbUthUr – theppOthsavam day 1 (yesterday) – http://sriperumbuthur.blogspot.com/2016/05/may-2016-week-2.html . dhivya prabandham – thiruvAimozhi 2.7.13 – vaNNamAmaNi – http://divyaprabandham.koyil.org/index.php/2016/05/thiruvaimozhi-2-7-13-vannamamani/ – English translation. Full series can be viewed at http://divyaprabandham.koyil.org/index.php/thiruvaimozhi/ . 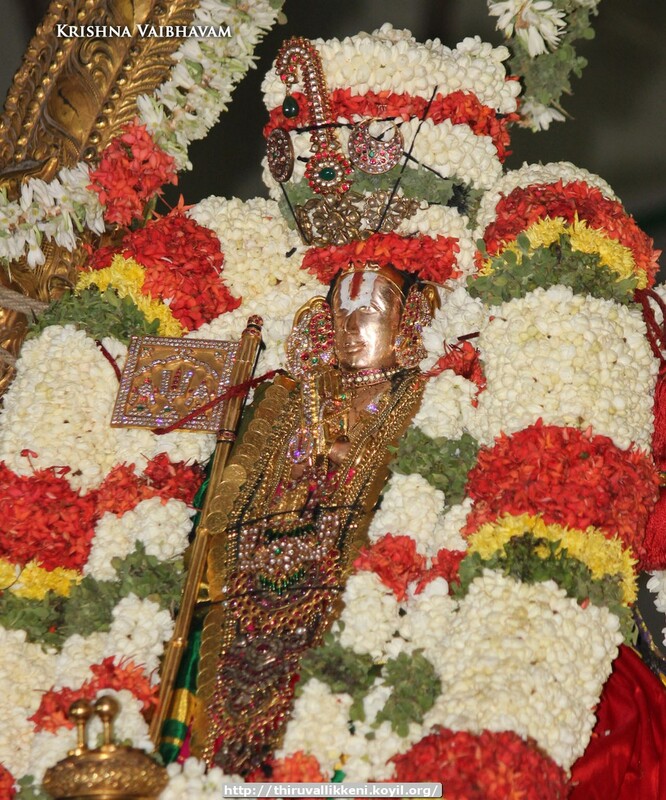 AzhwArthirunagari – nammAzhwAr thiruanakshathra mahOthsavam – madhurakavi AzhwAr puRappAdu (yesterday) – http://azhwarthirunagari.koyil.org/?p=1002 . pachchaivAraNam (pEttai) – mudhaliyANdAn thirunakshathra mahOthsavam day 10 (yesterday) – http://purushamangalam.koyil.org/?p=479 . SrIperumbUthUr – emperumAnAr thirunakshathra mahOthsavam day 11 (yesterday) – http://sriperumbuthur.blogspot.com/2016/05/may-2016-week-2.html . SrIvaishNava granthams – Simple Guide to SrIvaishNavam – apachArams to avoid – https://srivaishnavagranthamstamil.wordpress.com/2016/05/11/simple-guide-to-srivaishnavam-apacharams/ based on http://ponnadi.blogspot.com/2015/12/simple-guide-to-srivaishnavam-apacharams.html – thamizh translation by sadagopan swamy. Full series can be viewed at https://srivaishnavagranthamstamil.wordpress.com/simple-guide-to-srivaishnavam/ . dhivya prabandham – thiruvAimozhi 2.7.12 – dhAmOdharanai – http://divyaprabandham.koyil.org/index.php/2016/05/thiruvaimozhi-2-7-12-dhamodharanai/ – English translation. Full series can be viewed at http://divyaprabandham.koyil.org/index.php/thiruvaimozhi/ . SrIperumbUthUr – emperumAnAr thirunakshathra mahOthsavam day 10 (yesterday) – http://sriperumbuthur.blogspot.com/2016/05/may-2016-week-2.html. SrIperumbUthUr – emperumAnAr thirunakshathra mahOthsavam day 9 (yesterday) – http://sriperumbuthur.blogspot.com/2016/05/may-2016-week-2.html. dhivya prabandham – thiruvAimozhi 2.7.11 – paRpanAban – http://divyaprabandham.koyil.org/index.php/2016/05/thiruvaimozhi-2-7-11-parpanaban/ – English translation. Full series can be viewed at http://divyaprabandham.koyil.org/index.php/thiruvaimozhi/ . SrIperumbUthUr – emperumAnAr thirunakshathra mahOthsavam day 8 (yesterday) – http://sriperumbuthur.blogspot.com/2016/05/may-2016-week-2.html. 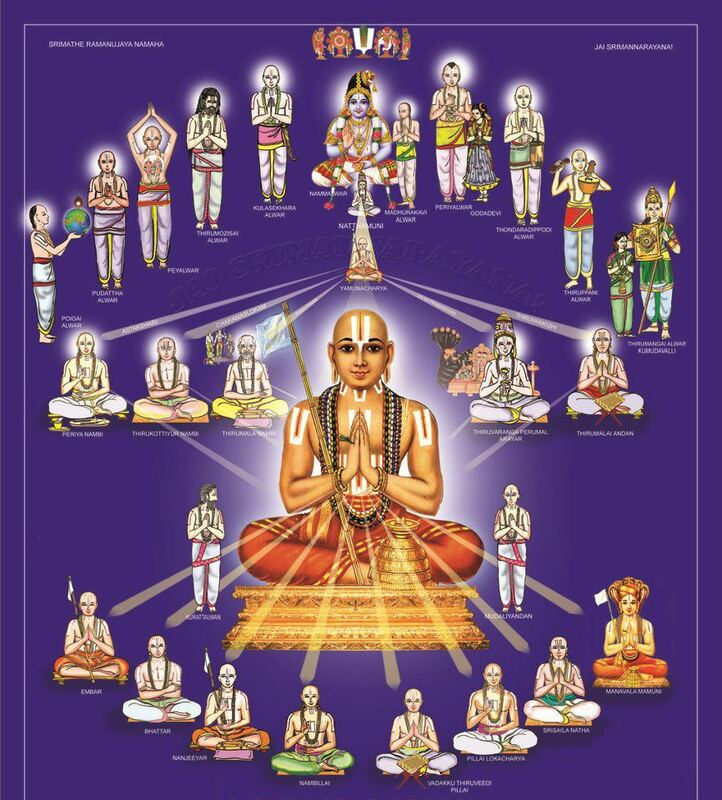 SrIvaishNava granthams – Simple Guide to SrIvaishNavam – Commencement of kannada translation https://srivaishnavagranthamskannada.wordpress.com/simple-guide-to-srivaishnavam/ based on http://ponnadi.blogspot.in/p/simple-guide-to-srivaishnavam.html . Translation by SrInivAsan swamy. guru paramaparai – mudhalAzhwArgaL (first 3 AzhwArs) – life and glories in kannada – https://guruparamparaikannada.wordpress.com/2016/05/08/mudhalazhwargal/ based on http://guruparamparai.wordpress.com/2012/10/22/mudhalazhwargal/ – new article by thirunArAyaNan swamy. Please visit https://guruparamparaikannada.wordpress.com/2015/08/17/introduction-2/ to see the full list. dhivya prabandham – thiruvAimozhi 2.7.10 – irudIkESan – http://divyaprabandham.koyil.org/index.php/2016/05/thiruvaimozhi-2-7-10-irudikesan/ – English translation. Full series can be viewed at http://divyaprabandham.koyil.org/index.php/thiruvaimozhi/ . SrIperumbUthUr – emperumAnAr thirunakshathra mahOthsavam day 7 (yesterday) – http://sriperumbuthur.blogspot.com/2016/05/may-2016-week-1.html. dhivya prabandham – thiruvAimozhi 2.7.9 – sirIidharan – http://divyaprabandham.koyil.org/index.php/2016/05/thiruvaimozhi-2-7-9-siriidharan/ – English translation. Full series can be viewed at http://divyaprabandham.koyil.org/index.php/thiruvaimozhi/ . This entry was posted in Uncategorized on May 7, 2016 by Sarathy Thothathri.